*Available for purchase Holiday 2018. 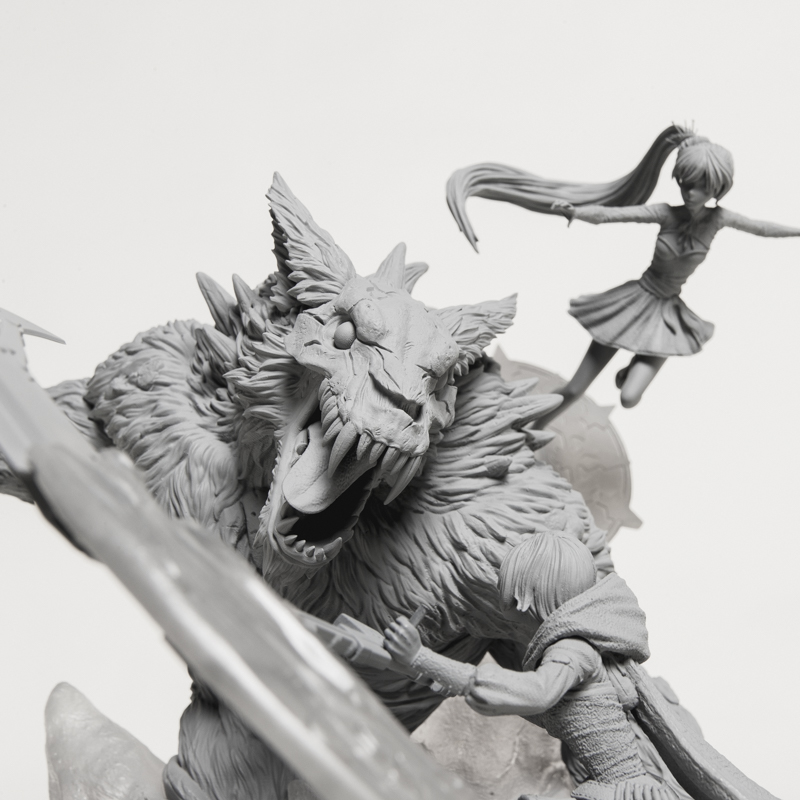 As huntresses in training, Ruby and Weiss have each fought their share of Grimm… but they’ll need to work together to overcome the might of an Alpha Beowolf! 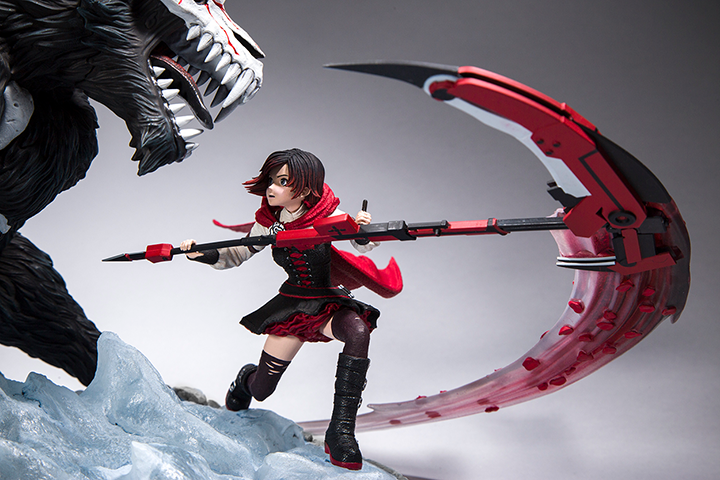 With Crescent Rose in hand, Ruby slashes her way to the front of the fight while Weiss poses gracefully on a glyph for a sneak attack. 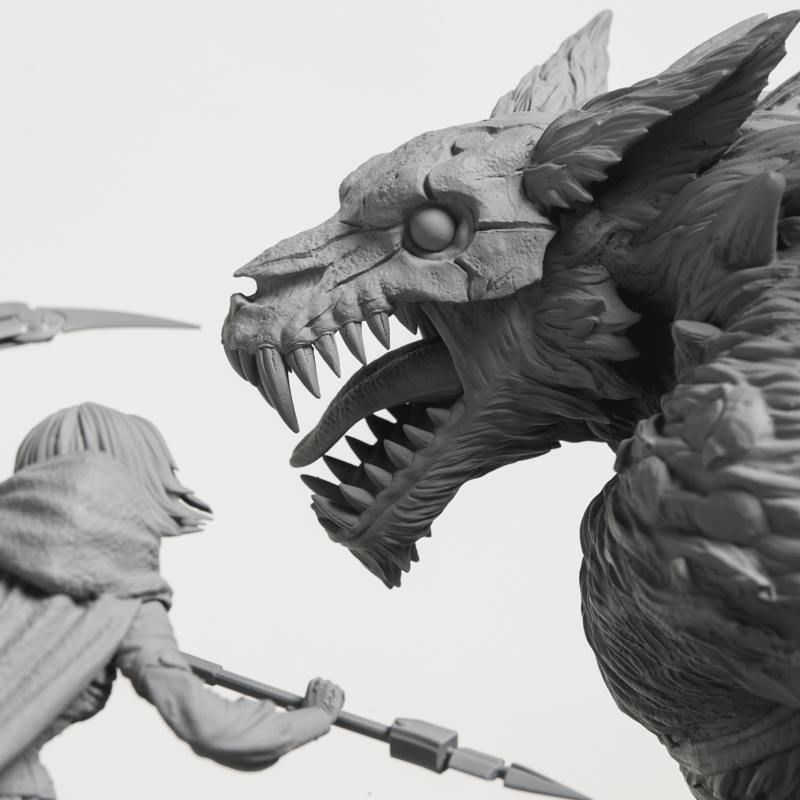 We are proud to present this limited edition, fully sculpted RWBY battle scene. It features an exquisitely detailed environmental base, highlighted by Ruby and Weiss unleashing their semblances to defeat the giant Grimm. 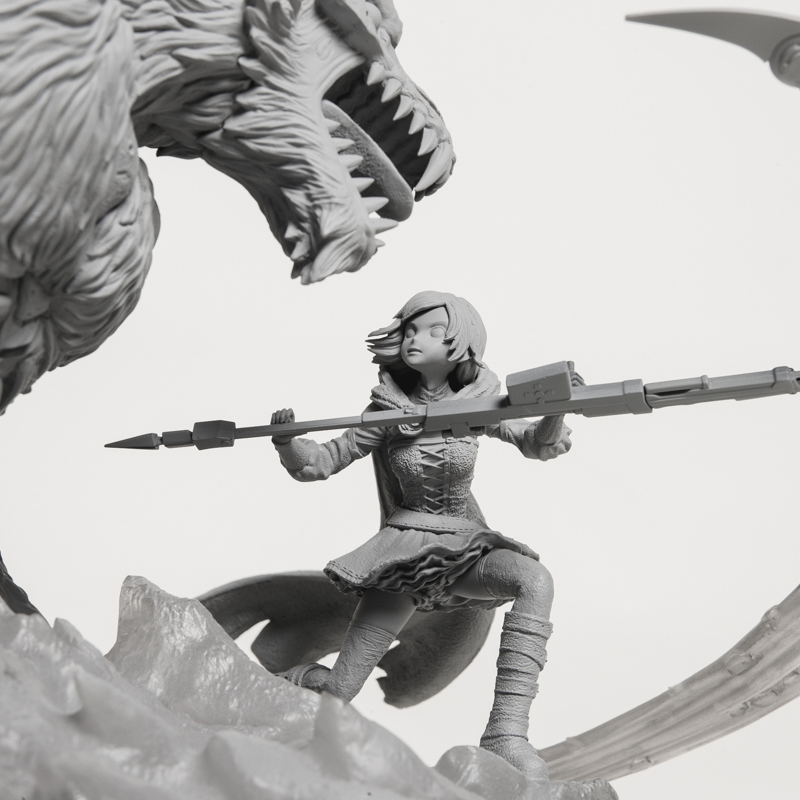 “I like the [statues] that feel like they’re telling a story. 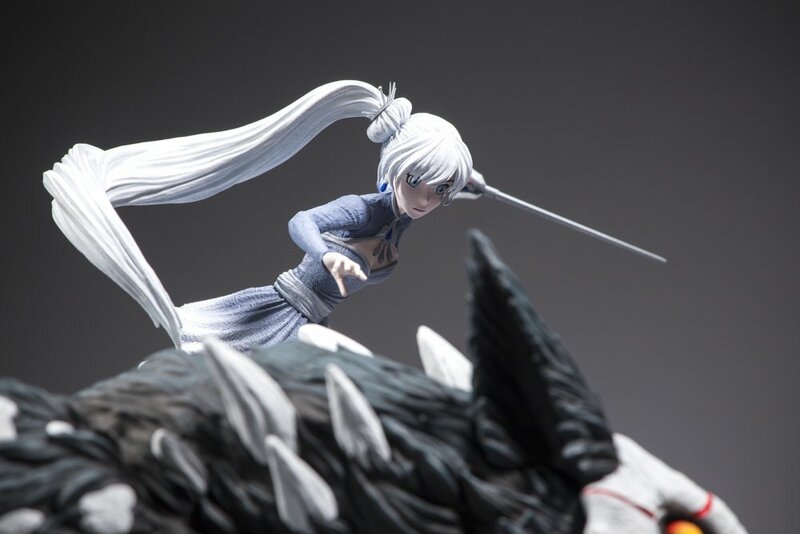 You’ve caught a frozen moment in time." 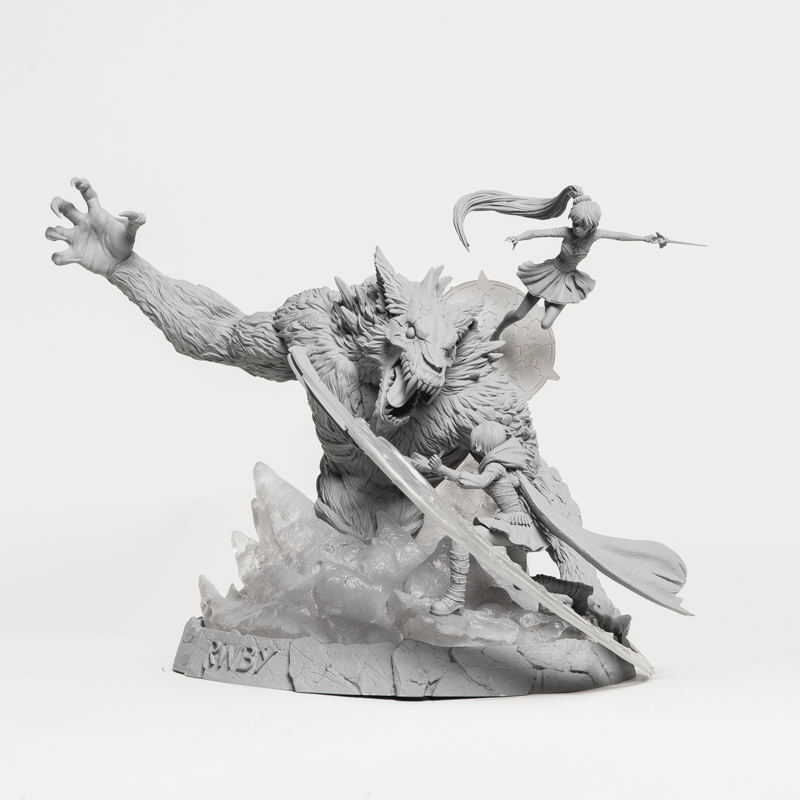 50 Copies of the unpainted grayscale figure will be available for purchase Holiday 2018.